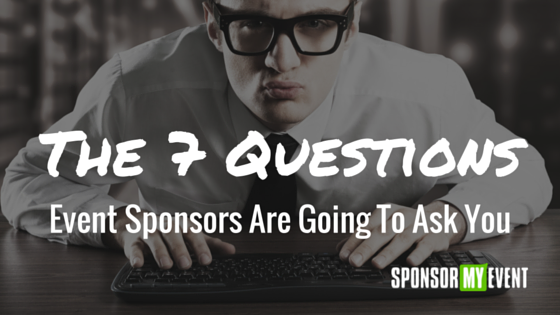 Event Sponsors Will Ask These 7 Questions: Don’t Get Tripped Up! It’s a well-documented fact that event planners have to wear many, many different hats as part of their role, which can sometimes include taking on sales responsibilities when it’s time to find sponsors. It’s important to be prepared for those conversations so we’ve put together a list of the top seven questions that event sponsors are going to ask you. Potential sponsors want to know how big of an audience they can reach. They also want to know how what your track record is for prior years because it will tell them if your event is growing. If the number of attendees is set to increase it’s a good sign that attendees enjoyed your event. No sponsor wants their brand to be associated with an event that is poorly-run or unprofessional. What is your attendee demographic breakdown? Similar to how today’s marketers use targeting functionality to advertise on Facebook, these same marketers want to make sure that your event is attended by the type of person that’s likely to be a good customer for them. You have no control over your sponsors’ preferred target demographics but what you do have control over is how you present and communicate the demographics of your event’s attendees. For B2B events, sponsors will want to know what percentage of your attendees are decision-makers (or have seniority that implies they have decisionmaking capacity) or influencers. They’ll want to know where your attendees’ home offices are located, what industries they represent and what job functions they hold. For B2C events, sponsors will want to know the age groups that your attendees represent, possibly zip codes (which can help predict income levels), marriage/children status and how serious they are about whatever type of interest the event represents. These are just a few of the standard demographics that sponsors expect to know upfront when considering sponsoring your event. Obviously, there’s no way for you to tell sponsors what your attendee demographics are for your current event but you can put together this data from your previous events. If you’re not already planning to collect these types of data, now’s the time to start. What other sponsors do you have confirmed? Event sponsors want to know what kind of company their brand will be in. 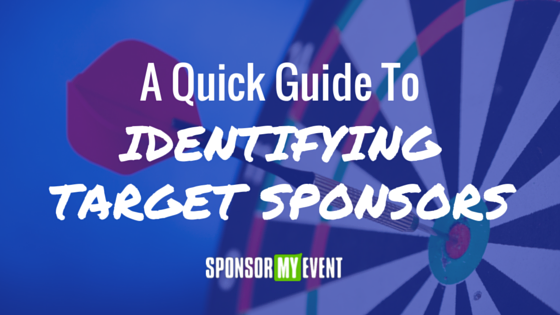 Seeing the other confirmed sponsors (or previous events’ sponsors) will help them validate that they’re making a smart choice to sponsor your event. If there are similar, or even competing, brands then they know that they’re correctly identified an event that aligns with their audience. If the confirmed sponsors don’t appear to share a common audience with their own brand, it may signal that the event isn’t the right fit. What types of sponsorship offerings do you have? This is a loaded question! 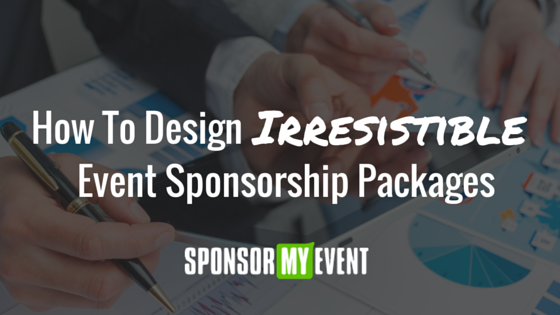 Event sponsors want to know if your sponsorship packages are indicative of a professionally-run event. They also want to know if you’ve created value in the offerings that will help them justify the investment. If you’re only offering up logo placement and branded water bottles, they’re going to know that you haven’t put in the effort to come up with creative ways to help them drive ROI. How much do the packages they cost? This is huge. You might be tempted to take this at face-value and think that the prospective event sponsors are trying to determine if they can afford your sponsorship. Don’t do that! 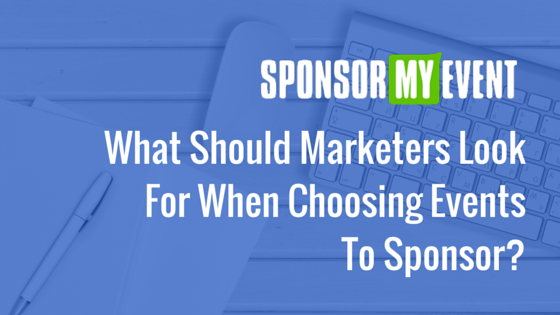 This question is actually a way for the sponsor to compare your event sponsorship offerings to other events they may be considering. Possibly even more importantly, your packages’ pricing communicates whether or not you know your audience. If your pricing is way too high (especially compared to other similar events) or too low, it shows that you don’t know what you’re doing. What ROI should we expect from our investment? The ROI question isn’t a trick question. It’s a very clear statement that event sponsors expect ROI from the event beyond just ‘impressions’ and they want to know how your packages will help them realize that ROI. And, to be clear, ROI is different from sponsor to sponsor. To way overgeneralize: it’s a safe bet that they want to know how dollar-for-dollar your sponsorship offerings will generate revenue for their brand. Can I buy your attendee list? Be ready for this one! For many marketers (who are likely to be your sponsors), one of the biggest values they see from events is the opportunity to grow their own lists. Most events don’t sell their lists outright, although some do include a one-off email blast to attendees as part of premium sponsorships. Your take away from this question should be that you need to really communicate and convince the potential sponsor that sponsoring the event has much more value beyond adding emails to their own subscriber lists.